Here is a fantastic budget buy I snapped up the other week! 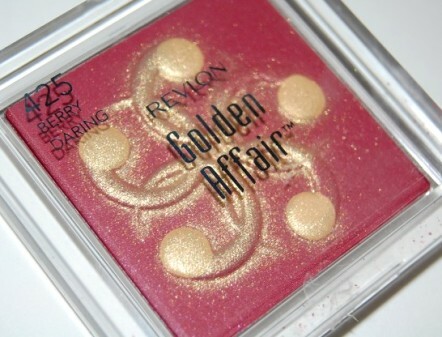 Whilst staying with my boyfriend, I popped into Poundland Canterbury and fell head over heels for this Revlon Golden Affair sculpting blush. I saw it in a slightly deeper shade over at Artdonatella's blog (check out her post here) quite a while ago and loved it on sight. So when by chance I found this limited edition product in a slightly lighter shade for £1, I knew I had to have it! One thing you can't ignore about this blush is how good it looks in the packaging. The packaging itself is simple but isn't that cheap. 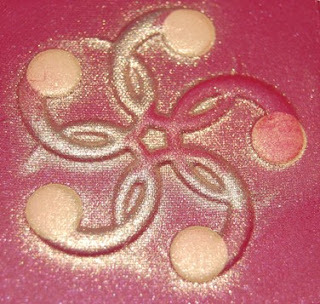 The design of the blush itself is gorgeous. Call me fickle but I was totally in love with it even before I got to try it out! Unfortunately, when I started to swatch and use it a considerable amount of the gold lifted. I'd say about 80% of the gold is sprayed on very lightly so my blush went from how it looks in the picture above to how it looks in the picture below in one use! The shade I found was 'berry daring' which although not their darkest shade, looked pretty dramatic at a first glance. When initially applied or swatched the shade is a deep crimson with some vibrant gold shimmer. From these swatches I hope you can see the punchy pigmentation. 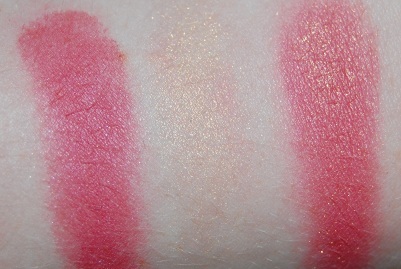 On the left is the crimson base on its own, the centre swatch is the sprayed gold and the second is the two combined. 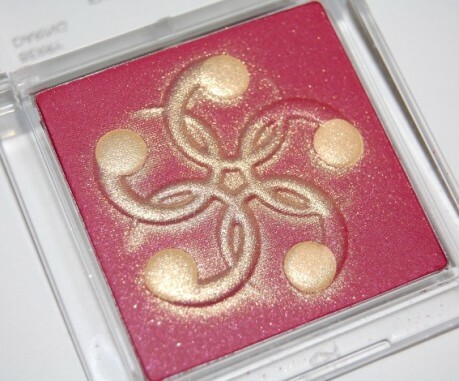 The intense pigmentation and deep berry tone to this blush were both slightly scary to me when it came to application. 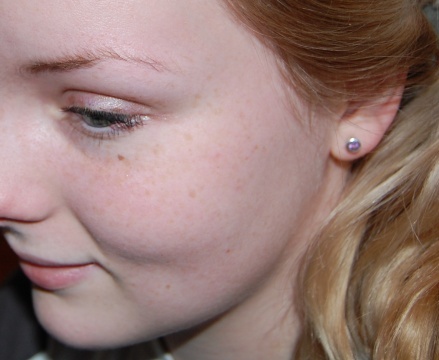 As you can see from the shot above - I'm pale and pink with lots of freckles. I loved the berry tones, I loved the look but I didn't want to end up looking like a panto extra! Below is a shot of me with just foundation (and some rather worn in eye makeup) so you can compare it to the after shot later on. Upon application I can actually understand why it's called a sculpting blush. Don't ask me it how it does it, but I can definitely see some contouring that wasn't there before in the after shot. I applied this very quickly and am hardly a blush expert, so I'm over the moon that it has such a pretty effect so easily. Admittedly I did apply barely a dusting and did blend quite a bit but still, this took seconds to achieve. Although this blush is awkward to track down, it's a gorgeous product that is very cheap for such lovely pigmentation and presentation. I had been looking for a berry toned blush and I think I've found a stunner! 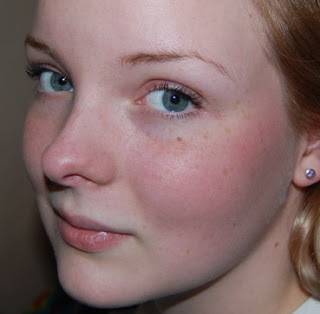 Surprisingly this blush looks really pretty and natural on the cheeks! Love it, Great post! That looks so good in the palette!